"The summer before my senior year of high school I attended the CSI Summer Camp that Point Park offers and realized that I really loved the things that I learned there and the hands-on experience I had gained just from the few days at the camp. From that point on, I knew I had to be accepted to Point Park and major in forensic science." 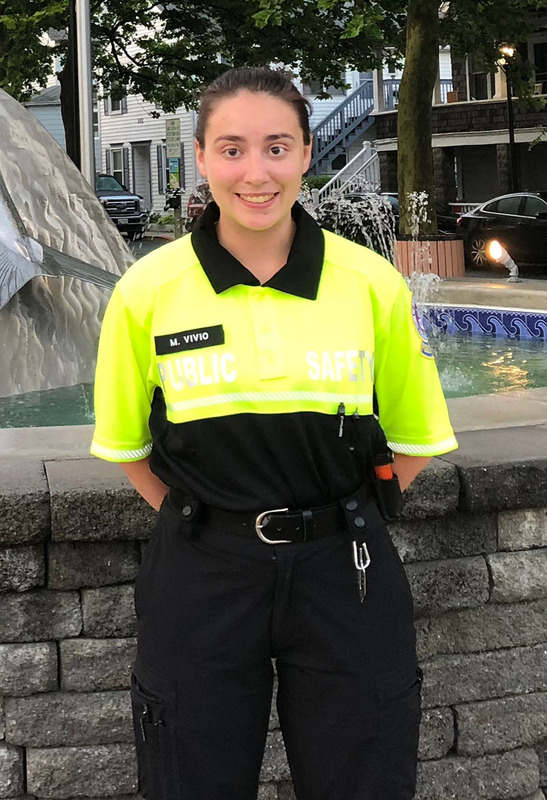 While attending the WestPACS Internship and Job Fair last fall semester, I walked up to the Ocean City Police Department's recruiting booth just to see what they had to offer. The next thing I knew I was traveling to Ocean City with my two roommates, Gillian Stinson and Jordan Cook-Henry, to take the test for this summer position. After a long background investigation process, we had been notified that we landed the positions in February! The summer before my senior year of high school I attended the CSI Summer Camp that Point Park offers and realized that I really loved the things that I learned there and the hands-on experience I had gained just from the few days at the camp. From that point on, I knew I had to be accepted to Point Park and major in forensic science. A couple classes have helped me in this summer position. The Introduction to Death Investigations and Forensic Evidence classes that Dr. Edward Strimlan teaches have helped me specifically. In Death Investigations, one of the key things we were taught to understand is that the individuals you interview will be going through a million emotions all at once, and you’ll never know how they’re going to react. I work in the booking facility for the OCPD. Even though booking and intaking inmates is not the same as speaking to the next of kin of someone who has just passed, these people are still going through so many emotions as they are going into a facility where they will not have their freedom. In the Forensic Evidence class, we learned all about fingerprints and the techniques of fingerprinting. During every single shift with the OCPD, I fingerprint someone and the things I learned in Forensic Evidence helped me to be able to master these techniques in the workplace. When I return to Point Park this fall for my senior year, I will transition from being the vice president of the Forensic Science club to the president. I am very excited to lead my club members through our events and to organize our annual murder mystery dinner! What are your career goals and how do you think your forensic science degree will help you reach them? As of right now, I do not know exactly what my career goals are. During my studies at Point Park, I have tossed around the idea of going into death investigations or drug chemistry. I know that in this field it is very important that I get my foot in the door somewhere and by landing this summer job I am beginning to do just that! The experience I am gaining from this summer position is one of a kind and hard to find anywhere else.